The principles of holism and harmony have deep roots in human civilization going back at least to the Axial Period in human history during the first millennium before the Common Era. For many thinkers and religious teachers throughout this history, holism was the dominant thought, and the harmony that it implies has most often been understood to encompass cosmic, civilizational, and personal dimensions. Jesus, Mohammed, Buddha, Lord Krishna, Lao Tzu, and Confucius all give us visions of transformative harmony, a transformative harmony that derives from a deep relation to the holism of the cosmos. Human beings are microcosms of that holism and must seek ways to allow it to emerge within their lives and cultures. Today, holism appears to us not only as a constant, abiding feature of our universe, but also as an emergent and evolutionary aspect of the cosmos and all life. In the face of the pervasive disharmony of much of human existence that we experience today worldwide, the principles of holism and harmony function, in the words of Ernst Bloch (1986), as a gigantic “principle of hope.” We recognize that disharmony threatens the very existence of life on Earth, that we face the possible end of the human project and higher forms of life on this planet. However, even as the danger grows, as the poet Hölderin sang, the saving insight emerges within our hearts and minds and within human civilization. The creative and revolutionary holism of the emerging planetary paradigm becomes a vision of the very real possibilities for a harmonious and transformed human reality. Today, the holistic vision of the ancient spiritual teachers is reborn on a higher level—consistent with the deepest discoveries of modern science. This concept of “a higher level” is crucial, as we shall see. Holism is the most fundamental discovery of 20th century science. It is a discovery of every science from astrophysics to quantum physics to environmental science to psychology to anthropology. It is the discovery that the entire universe is an integral whole, and that the basic organizational principle of the universe is the field principle: the universe consists of fields within fields, levels of wholeness and integration that mirror in fundamental ways, and integrate with, the ultimate, cosmic whole (see, e.g., Laszlo 2007). This discovery has overthrown the early-modern Newtonian paradigm in the sciences, which was predicated on atomism, causal determinism, mechanism, and a materialism that was discerned, it was thought, by a narrow empiricism. The holism of the ancient and medieval thinkers was superseded by this early-modern Newtonian paradigm in the 16th and 17th centuries. This development generated a host of assumptions about the world and human beings that became determinate for the basic world view that most people and institutions continue to hold today, including the worldwide institutions of sovereign nation-states and global capitalism that were first developed during these centuries (see Harris 2000). Today, beginning perhaps decisively with Einstein’s Special Theory of Relativity (1905) that discovered that space, time, matter, and energy form one integral whole, and continuing with E.P. Hubble’s 1929 realization that the entire universe is expanding, the holism of the ancients has been rediscovered on a higher (dynamic and emergent) level. We understand, very much more clearly than these ancient thinkers, that human beings, like the universe itself, are deeply evolutionary and historical beings, moving from a past, through a dynamic present, toward a future that we are significantly involved in creating. We create our future through a vision and comprehension of its possibilities, and through the actualization of its basic presuppositions. Revolutionary holism is just that: a holism that can transform everything from disharmony to harmony, from war to peace, from hate to love. Ethics, law, education, and government are all historically grounded aspects of human life. Yet they are not contingent in the sense of being arbitrary: they are implicit within the universality of the human project. This means they are subject to holistic transformation, to “a new heaven and a new Earth,” that, indeed, has much in common with what the ancient teachers said about holism and harmony. Holism is not simply an intellectual perception of harmony, for in holism we are included in the wholes, wholes that we discern at the deepest levels with our entire being. The paradigm-shift to creative and revolutionary holism illuminates not only fundamental aspects of our world but something about ourselves as well: our participation, as D.H. Lawrence puts it, in this “magnificent here and now of life in the flesh that is ours, and ours only for a time,” as part of the “living, incarnate cosmos” (1976: 125-26), that we manifest “its very structure, its Principle” (Swidler and Mojzes, 2000: 118). It is the realization that we ourselves are manifestations of the “living, incarnate cosmos.” We carry within us universal presuppositions that manifest this holism. The new categorical imperative of ethics deriving from this universal holism is to discover the patterns of holism everywhere, to distinguish what is authentic from what is misapprehended, and to actualize them further, to create holism in our personal lives, in our communities, and for the whole of Earth. The ethical imperative is to create authentic democracy, sustainability, and reasonable economic prosperity, as well as harmony, reunion, rebirth, reconciliation, and redemption for ourselves and the living creatures on our planetary home, first and foremost for the billions of marginalized and dehumanized persons living in vast horrific slums in every corner of the globe. All these goals inherent in our human situation go together. What is often missing in today’s philosophy of law is recognition and articulation of the emergent principle within the cosmic-planetary-human project. Human beings are products of the evolution of the cosmos itself and the evolution of life on Earth. Some physicists and cosmologists have even proposed the “Anthropic Principle,” arguing that the emergence of human beings is implicit in the cosmos from its very beginnings within the Big Bang some 14 billion years ago (see Harris 1991). The holism that is the most fundamental discovery of science over the past century is manifested in the cosmos, in planetary life on Earth, and in human beings as self-aware emergent consequences of this cosmic movement. Positivists in today’s philosophy of law tend to ignore these deeper aspects of our human situation altogether, attempting to appeal strictly to specific historical and social facts to understand the nature of law in human civilization. On the other hand, neo-Kantian transcendentalists like Hans Kelsen (1949) need to be critiqued as attempting to formulate the abstract principle of law in ways that bind law to an unchanging a priori principle rather than to an emergent a priori principle. This same criticism applies to natural law theorists. To quote Cicero (1999), for example, as a paradigm for natural law, to the effect that the natural moral law is an “eternal and universal unchanging principle” is to deny the entire emergent project of humanity and evolution. Natural law theory has a valid intuition that law derives from the moral foundations of human life and the universe. But it often mistakenly assumes, as do Cicero in the 2nd century or St. Thomas Aquinas in the 13th century, that the moral law is a finished framework to which human life and societal laws must conform. This denies the process of human growth and development both as a cosmogonic, evolutionary, and historical civilizational project. Although the exact form of the emergent principle may never be fully concretized for us—since the emergent evolution of human beings will likely continue into the future without limit—we can make some broad generalizations concerning the principle that allow is to distinguish the principle quite clearly from what it is not. First and foremost, it is a principle of holism. The holistic principle, implicit in the structure of the universe and all its elements, functions as an immanent telos for the actualization of our human potentialities, including the meaning and rule of law in human affairs. Law is not exclusively defined in terms of mere historical acts, events, commands, or collective recognitions. It is guided in its emergent meaning by the principle of holism governing the actualization of human potentialities. It is not as if there is a pre-existing transcendental normative essence to law, as Hans Kelsen declares. Rather, the meaning and nature of law becomes progressively realized and actualized under the immanent influence of the principle of holism. Emerging into human life is the realization that a human being is an “expression of the total structure from a particular viewpoint.” With human beings, and the development of human law, this realization does not happen automatically in the sense of determinism or teleological necessity deriving from the wholes that we embody and of which we are a part. Freedom is itself a deeply mysterious expression of the emerging wholeness of the universe and human freedom also allows for interference (whether negative or positive) with the teleological movement of human cultural, social, and economic forms toward planetary integration and wholeness. In this paper, I am focusing on one aspect of the holism of the human situation: the presuppositional status of democratic world law. Human history, I have argued elsewhere (Martin 2008), in some fundamental ways involves the process of human beings coming to realize evermore clearly what is presupposed in the fact of our humanity—what is presupposed by the fact that we are all human beings, sharing a common species-being (as Karl Marx put it), a common genetic nature, a common social nature, a common set of languages, needs, wants, etc. For example, I argue that personal freedom is presupposed by our common human reality and that historically we have been struggling to discover modes of governing that bring this into greater reality. A similar process is taking place with regard to the concepts of democracy and human rights. These are presupposed within our common humanity and developing human project. It is the same with the concept of world law. In Hegelian terms, each of these ideas (freedom, democracy, human rights, world law) exists as a mere abstract concept until the potential inherent in these emerging universals, including democratic world law, is concretized and embodied in a multiplicity of ways in human civilization. As each of these universals moves from being an abstract concept and becomes progressively embodied, it becomes ever more fully a “concrete universal,” rather than a mere abstraction. Freedom, as Hegel (1991) argued, is emerging ever more fully from the process. Some writers identify our planetary governmental situation over the past several centuries under the descriptive phrase: “Hobbes’ paradox” or Hobbes’ contradiction” (e.g., Luban in Gehring 2003). For Hobbes, we end the war of all against all by entering into a social contract in which enforceable positive law keeps the peace and allows for civilized living (1651, 1963). But this social contract, as Hobbes conceived it, was and is confined to particular sovereign nation-states and therefore gives rise to the same condition of war that the implementation of enforceable law was intended to prevent: the state of war now exists among the multiplicity of sovereign nation-states. Hobbes, Spinoza, Kant, and Hegel all explicitly recognized this dilemma of so-called sovereign nation-states (see Martin 2010a 73-4). To escape the condition of war requires the advent of the universal rule of law. All the social contract theorists are basically agreed on this. However, you cannot establish the universal rule of law by reinforcing the particularistic and subjective characteristics of the very entities whose warring existence needs to be overcome. Rousseau and Kant most significantly understood this—only by drawing on what is truly reasonable and universal can we really actualize the rule of law in human affairs. By trying to make the development of world law contingent on the voluntary agreements or treaties of sovereign nation-states (so-called “international laws”), we are reinforcing the very resistance to law that needs to be overcome. We are exacerbating, not removing, Hobbes’ paradox. The paradigm-shift effected by the 20th century sciences, across the board, was a shift from the early-modern mechanism, atomism, and determinism to holism: as stated above, 20th century science discovered that the universe and everything in it is characterized by a holism in which everything is internally related to everything else and there are no autonomous, independent atoms at the basis of any cosmic, social or natural structures. The cosmos is an integrated whole of unity-in-diversity, the planetary biosphere is likewise an evolutionary ecological whole, and human beings are universally the same: our unique individuality and diverse cultures are inconceivable apart from our human rational, moral, and social universality that has been emerging into self-awareness primarily since the Axial period during the first millennium BCE. The system of sovereign nation-states (usually dated from the Peace of Westphalia in 1648) derives from the early-modern assumptions about the atomism and mechanism of nature and society. These are false premises, and the idea of a world divided into some 193 national sovereignties (with absolute territorial boundaries, incommensurable with one another) is based on these false premises. The truth of this is seen in the on-going destructive presence of Hobbes’ paradox: there is war, environmental destruction, and social chaos everywhere on Earth. The United Nations is based on this outdated premise of “the sovereign integrity of its member states.” The UN Charter must be replaced with a constitution based on correct presuppositions. If we want to overcome the chaos of warring nations and planetary environmental and social chaos, our best option is to begin operating from the a priori status of universal law that is intrinsic to the human condition itself, not by reinforcing those incorrect premises behind the nation-state system as if they were the source of legitimate positive law and must be drawn upon to make universal law a reality. You cannot draw upon the false atomism that prevents universal law from becoming a reality by relying on those same illegitimate atoms as the basis for your endeavor. That is why the ascent to universal human and planetary law requires the paradigm-shift, made by all the 20th century sciences, from atomism to holism. It requires the founding of democratic world law within a genuine constitution for the Earth. The paradigm-shift from fragmentation to holism has clearly not yet significantly influenced the dominant institutions of global society, and the institution of the territorially bound nation-state remains a fundamental assumption in much of today’s philosophy of law. We have not yet achieved that global social contract that can institutionalize political and economic holism in spite of the fact that our “survival problems” cry out for such an expansion. The vision of transformative hope emerging from the new paradigm is not yet fully actualized. Nevertheless, contemporary philosophy of law has made great strides in moving in the direction of holism, and some of its formulations, even though developed within today’s framework of territorial states, explicitly or implicitly claim a universality applicable to all humankind. The reason we do not have this international order is because the world remains institutionally fragmented among so-called sovereign nation-states competing with one another militarily, ideologically, and economically within a global capitalist system. The rationality and sociality of human beings presuppose universal positive law. No complex society of any size beyond small groupings can function without law. Like grammar, and the translatability of all languages into one another, law manifests universal deep structures translatable into one another universally: the law in any human culture or language is recognizable and translatable by those outside that culture. Universal positive law is an a priori structure for human life, presupposed by human reason. This insight remains fundamental to the holism of our humanity. Yet the world system, fragmented into sovereign nations and largely unregulated capitalist competition, institutionally violates the holism of our humanity and the a priori status of our dignity, rights, and freedoms. For these universal human qualities necessarily require protection and regulation through enforceable world law. Immanuel Kant understood this presuppositional status of democratic world law and the primacy of the rule of law in all human relationships. In his ethics of the categorical imperative (1883, 1964), he argued that each free human being with a good will “legislates the universal law for themselves,” and that only this can make us free from determination by our inclinations and above all self-interest. For Kant universal laws, inherent in our freedom and rationality, are fundamental to both ethics and political philosophy. In ethics, free individual beings legislate universal laws for themselves; in political life, the general will embodied in a legitimate legislative body, legislates universal law for the whole of society. In his 1795 essay Perpetual Peace (and in other places), Kant addresses the “savage and barbaric” condition of the system of sovereign nation-states: This system abjures the rule of enforceable republican law for the world. It prefers “senseless freedom” to the “rational freedom” of the reasoned harmony embodied in republican forms of government, forms that protect the “freedom, equality, and independence” of people through the rule of law. Kant advocates “a federation of free states” that does for the lawless world what the social contract to leave the state of nature and form republican government does for individual people: It brings them out of the immoral condition of war and “senseless freedom” into genuine rational freedom. Law cannot be merely localized in communities around the world, for law is inherent in human civilization and requires universal recognition of our common humanity and common human dignity that transcends all territorial divisions and national boundaries. The absolute need for this recognition has magnified in human consciousness since we began to realize that human beings might be the cause of their own extinction. A number of serious thinkers (such as Albert Camus 1945, 1986) have commonly recognized that 1945, with the development and use of nuclear weapons, was the “beginning of the end-time for human beings,” as theologian Jürgen Moltmann puts it (2012: 46). We need to solve the fundamental problems of living together peacefully and sustainability on this planet or we court the death of the human project itself. The inadequacy of existing “international laws” became apparent, Arendt argues, with Nazi “crimes against humanity,” for here the Nazis were not simply violating existing international law but rather attacking “the human status itself.” They violated our planetary human community that is premised on our common, universal humanity. Nevertheless, following World War Two no nation-states, group of states, nor the treaty of sovereign nation-states such as the “United Nations” has seriously considered enforceable world law that protects “the human status itself.” To do this would be to recognize their own illegitimacy. For the presupposition of “the human status itself” requires just such enforceable world law transcending their authority as “sovereign” nation-states. The law protects human dignity in a number of ways, one of which is by creating a public regularity, a public and enforceable social order, and a common, democratically arrived at, set of interpretations that make it possible for people to flourish: to go about living life to the fullest without having to reinterpret and re-judge and re-negotiate each new situation on a daily basis. The law, therefore, is at the heart of civilized living. It provides, so to speak, a collective judgment and interpretation, ideally impartial and justice-oriented, that protects and empowers our dignity and ability to flourish. If there is to be privacy from government intrusion in our lives, it is the law that will provide for this through placing strict enforceable limits on what government can do, with the ability of citizens through the courts to prosecute government officials who offend against this. If there is to be protection of our human rights from government interference, it is only enforceable law that can do this, necessarily including the due process ability of citizens to find redress of grievances. Only genuine law, carefully designed with checks, balances, transparency, and restrictions on governmental prerogative, can give us the necessary protection from tyranny and injustice. In either case, it is the law itself that must be self-limiting, self-regulated, and transparent to citizens, operating to serve human flourishing. Under an anarchist regime (without government), on the other hand, relations between people and groups will be not only be sometimes moral but will necessarily often involve naked power relationships within a framework of unregulated interpretive perspectives, itself an impossible and immoral situation, as Kant understood. Without universal law, constitutionally interpreted by courts and enforced equitably over all, different groups will inevitably interpret situations differently and remain in a condition of defacto war in relation to one another. Perhaps people can be moral in the “state of nature” (without government and enforceable law) as John Locke (1689, 1963) proclaimed, but the framework itself is immoral. The presupposition of our moral, civilizational, and rational common humanity, is enforceable, democratically legislated world law. Such law cannot be law unless it is an integral part of all the institutional aspects that make law a genuine representative of the community—a constitution, a legislature, a court system, civilian police, administrative structures, recognition of human individual and social rights, etc. The great realization that came out of the 20th century (beginning with the world federalism of the Women’s International League for Peace and Freedom that emerged during the First World War (Martin, 2010b: 8-14)) is that law, like justice, human rights, and human dignity, is inherently universal and all local territorial laws must be derived from the concept of world law: laws that derive from, and protect, “the human status” everywhere on Earth. Law derives from the primal relation of individuals and communities that characterizes our human situation. Local laws always imply this inherent universality. Human rationality itself is always inherently social and implies the whole of civilization. It thereby also presupposes universal, democratically legislated laws. Global Institutional respect for human dignity in a world that protects human flourishing cannot evolve or emerge from the fragmentation of disorder while continuing to embrace the false premises of that disorder. True conclusions cannot derive from false premises. This can be also be expressed in terms of the universality of human speech as many contemporary thinkers, such as Jürgen Habermas (1998), have revealed. Monologue and instrumental forms of communication cannot give us order. The false premises of global capitalism and so-called sovereign nation-states (both instrumental and monological) cannot provide the basis for an evolution of truth with regard to the human condition or human political and legal affairs. Such one dimensional speech has no ability to deal with the global problems in the name of a planetary common good because monologue, in itself, cannot transcend its principle to dialogue without becoming something entirely different. Habermas underlines dialogue as another presuppositional aspect of our human situation: at the heart of language itself (all languages) lie presuppositions that necessarily include the formulation of universal ethical principles and common laws in a dialogical fashion. Communitive speech with its dialogical presuppositions is prior to instrumental and strategic forms of speech (which are largely monological). The nation-state, Habermas argues (2001), was once considered the legitimate institutional form for a dialogue that made possible a progressive realization of democratic ideals. But the nation-state can no longer be the carrier of dialogue concerning the good, since the fate of the Earth and humanity now involves global issues that transcend all nation-states: “Today, developments summarized under the term “globalization” have put this entire constellation into question” (2001: 60). Building on Habermas’ insight, I argue that for humankind as a whole there is an absolute ethical and practical imperative that we create institutions that make global dialogue concerning the fate of humanity possible. Only the rule of democratically legislated enforceable law under an Earth Constitution can provide the effective possibility of dealing with our endangered future. The Constitution for the Federation of Earth (Martin 2010b) establishes the World Parliament and the many agencies of government, staffed by qualified people from around the world, as institutional arrangements designed for people to dialogue with one another (both among those in the world government and with the people of Earth) about our endangered human future and take effective action to ensure that future. If we want to really turn things around, to be really revolutionary, we must create an Earth Federation as the foundation for not only effective global dialogue but also the decision-making authority on behalf of the people of Earth. Dropping fragmentation, however, does not mean failing to preserve what is valuable about the United Nations or other global institutions that have some features premised on human dignity. For example, the World Health Organization and the UN High Commission on Human Rights have some features premised on the promotion of global citizenship and dialogue (such as UNESCO). Such institutions must be preserved when the hopelessly inadequate Charter of the UN (premised on sovereign nation-states) is replaced with a genuine Constitution for the Earth, premised on the truth of human dignity. In place of the disorder of the current world anti-system, we must make a paradigm-shift to the principles of order and truth. Truth emerges from dialogue, from the common effort and interaction of innumerable truth-seekers, present and past. The Earth Constitution was written by hundreds of world citizens working together from 1968 to 1991 and meeting four times in global Constituent Assemblies (1968: Interlaken, Switzerland; 1977: Innsbruck, Austria; 1979: Colombo, Sri Lanka; 1991: Troia, Portugal) to examine, revise and confirm their collaborative work. The result was, in my view, the most important document produced in 20th century literature. The Preamble to the Constitution clearly establishes its holism and predicates the Earth Federation on the principle of “unity in diversity.” The Earth Constitution is brilliantly conceived and designed, providing humanity with a blueprint through which we can engage a truly transformed future. The very logic of law embodies universal moral duties, one of which is global dialogue. The Constitution establishes a justice-oriented, environmentally sustainable order, making possible the universal pursuit of the most basic goods of human existence, and it establishes concrete legal principles of human dignity and inviolable human rights, providing both unity and diversity. It provides, for the first time in history, planetary institutions for global dialogue with the authority to act on behalf of the common good of our planet and its citizens. The present lawless world must be superseded by a non-military, democratically founded, lawful world. We can only negate the present global disorder and fragmentation by founding a global order of peace, justice, and freedom of all human beings. We must ratify this global social contract, not limp along trying to modify the present broken and hopelessly fragmented current world order. Article One of the Earth Constitution lays out the six “broad functions” of the Earth Federation government: (1) end war and disarm the nations, (2) protect universal human rights, (3) end extreme poverty and promote global equity, (4) regulate fundamental resources for the common good of humanity, (5) protect the “ecological fabric of life,” and (6) address all global issues that are beyond the scope of the multiplicity of nation-states that make up the Earth Federation. 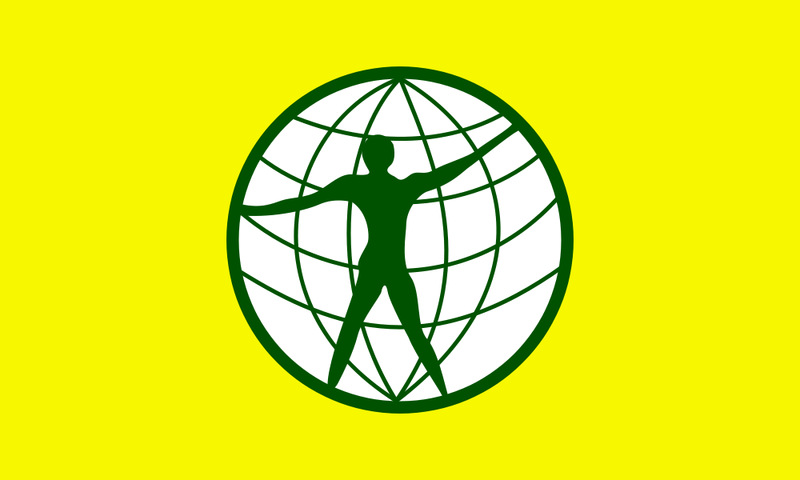 To achieve these goals the elements of the Earth Federation government are outlined, the primary element of which is the World Parliament comprised of a House of Peoples (representing all peoples around the Earth), a House of Nations (representing all nations) and a House of Counsellors (representing the whole and the common good of all). World law addressing these global issues and making possible genuine dialogue within the World Parliament (with the authority to address these problems) constitutes the actualization of Article 28 of the UN Universal Declaration of Human Rights and the actualization of the presuppositional status of enforceable democratic world law inherent within our common humanity. The solution to our apparently lethal global problems, as both Albert Einstein and Carl Jung (1970: 304) famously said, will require that we move to a new level of thought and existence on this planet. We cannot solve our basic problems through the fragmented institutions and concepts of the outdated early-modern paradigm. As Ervin Laszlo affirms: “We are part of a series of large wholes, wholes within wholes. What it takes is to recover the intuitive feeling that we are part of it, that we are connected….. But this has never happened for mankind as a whole. Yet now it must happen, because we have become a planetary species” (2014: 79-80). Becoming a planetary species means realizing the a priori conditions on which our common humanity is founded: freedom, human dignity, human rights, ecological sustainability, and democratic world law. And the most practical, most coherent and compelling, way to actualize enforceable democratic world law is through ratification of the Constitution for the Federation of Earth. Arendt, Hannah (1963). Eichmann in Jerusalem. A Report on the Banality of Evil. New York: Penguin Books. Bloch, Ernst (1986). The Principle of Hope. Three Volumes. Neville Plaice, Stephen Plaice, and Paul Knight, trans. Cambridge, MA: MIT Press. Camus, Albert (1986). Neither Victims Nor Executioners. Philadelphia: New Society Publishers. Cicero, Marcus Tullius (1999). On the Commonwealth and On the Laws. James E. G. Zetzel, ed. Cambridge: Cambridge University Press. Gehring, Verna V.,ed. (2003). War after September 11. Intro. by William A. Galston. New York: Rowman and Littlefield. _______(2001). The Postnational Constellation: Political Essays. Cambridge: The MIT Press. Harris, Errol E. Cosmos and Anthropos: A Philosophical Interpretation of the Anthropic Cosmological Principle. Atlantic Highlands, NJ: Humanities Press International, 1991. _______ (2000). Apocalypse and Paradigm: Science and Everyday Thinking. Westport, CT: Praeger. Hegel, G.W.F. (1991). Elements of the Philosophy of Right. Alan Wood, ed. Cambridge: Cambridge University Press. Hobbes, Thomas (1963). Leviathan. John Plamenatz, ed. New York: Merridian Books. Jung, Carl Gustav (1970). C.G. Jung: Psychological Reflections. A New Anthology of His Writings, 1905-1961. Jolande Jacobi, ed. Princeton: Princeton University Press. Kant, Immanuel (1957). Perpetual Peace. Louis White Beck, trans. New York: Macmillan. _______ (1964). Groundwork of the Metaphysic of Morals. H. J. Paton, trans. New York: Harper & Row. Kelsen, Hans (1949). General Theory of Law & State. Cambridge, MA: Harvard University Press. Laszlo, Ervin (2007). Science and the Akashic Field: An Integral Theory of Everything. Second Edition. Rochester VT: Inner Traditions. Lawrence, D.H. (1976). Apocalypse. New York: Penguin Books. Locke, John (1963). Two Treatises on Government. New York: New American Library. _______(2010a). Triumph of Civilization: Democracy, Nonviolence, and the Piloting of Spaceship Earth. Appomattox, VA: Institute for Economic Democracy Press. ______ (2010b). Constitution for the Federation of Earth. With Historical Introduction, Commentary, and Conclusion. Appomattox, VA: Institute for Economic Democracy Press. ______ (2015-16). One World Renaissance: Holistic Planetary Transformation through a Global Social Contract. Appomattox, VA: Institute for Economic Democracy Press. Moltmann, Jürgen (2012). Ethics of Hope. Margaret Kohl, trans. Minneapolis: Fortress Press. Swidler, Leonard and Mojzes, Paul (2000). The Study of Religion in an Age of Global Dialogue. Philadelphia: Temple University Press. Hi there,I check your blog named “Blog #2 | one world renaissance” like every week.Your story-telling style is witty, keep it up! And you can look our website about تحميل اغانى.